As someone who looks at street art every day, usually online through photos where I’m told or I already know pretty much exactly what I’m looking at as soon as I see it, it’s not often that I still get to experience the joy of randomly coming across street art that truly surprises me and shakes me out of my dreary existence. 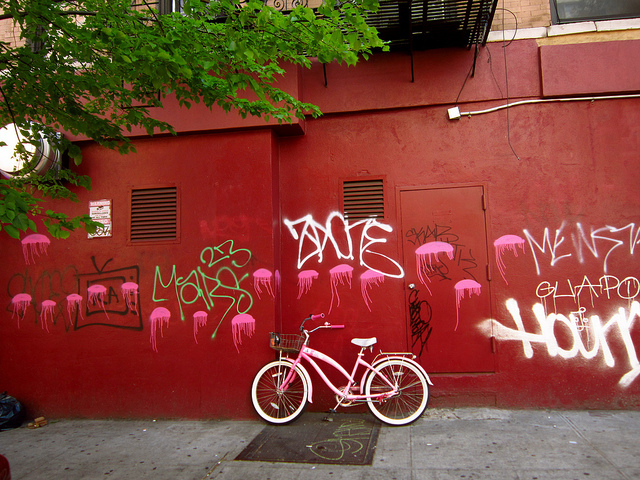 But someone in New York is doing that for me lately. 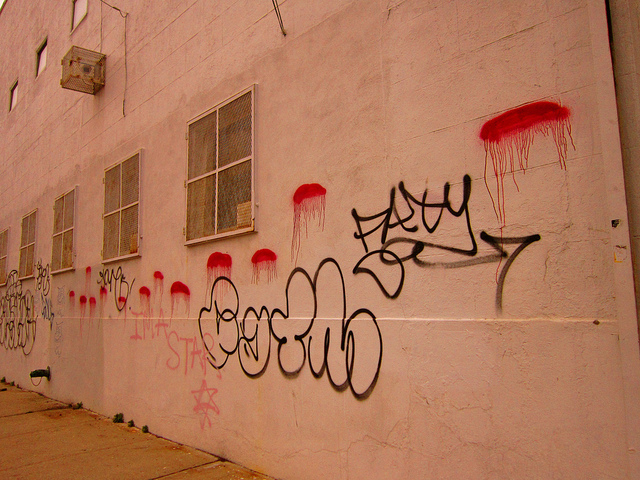 When I was last in NYC, I couldn’t help but come across the drippy splotches of spraypaint that have begun popping up all over the city. 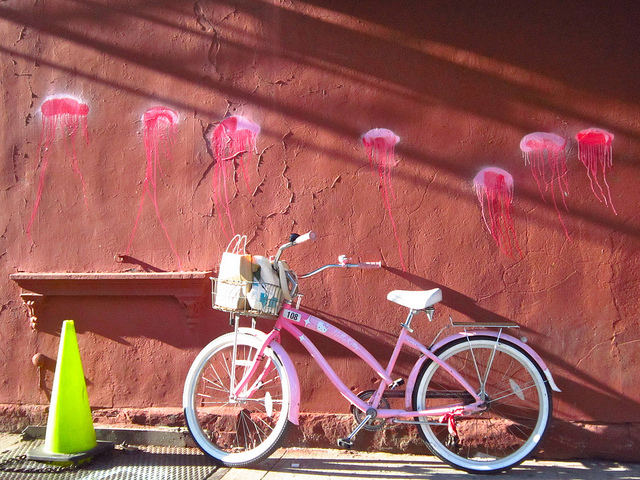 When my friend Rhiannon pointed them out to me, she called them jellyfish. And that seems about right. So, who is Jellyfish? Nobody I’ve spoken with seems to know. 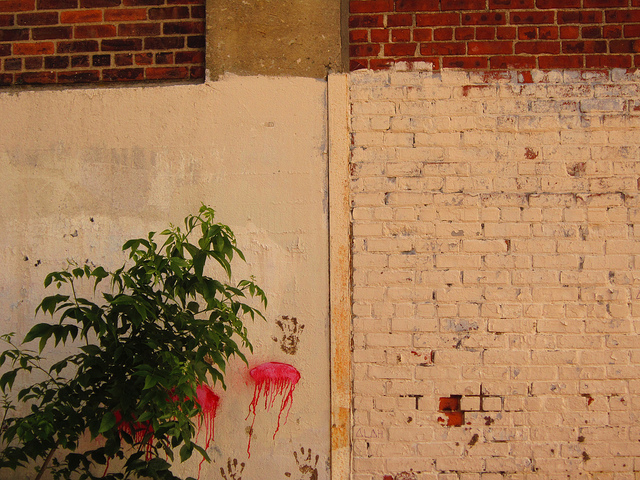 And, like most street art, it’s probably more fun to keep that a mystery. Would these work well on a mural organized by MaNY? Probably not. 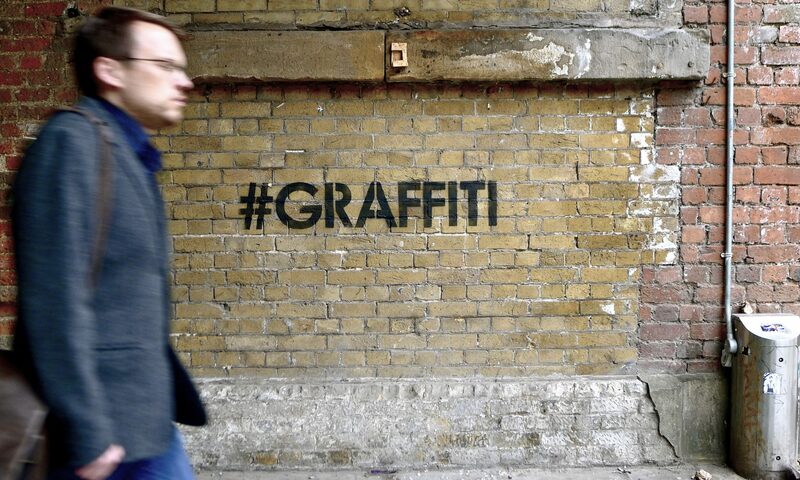 But they are fantastic as a pseudo-tag and for reactivating boring walls. Who needs style? 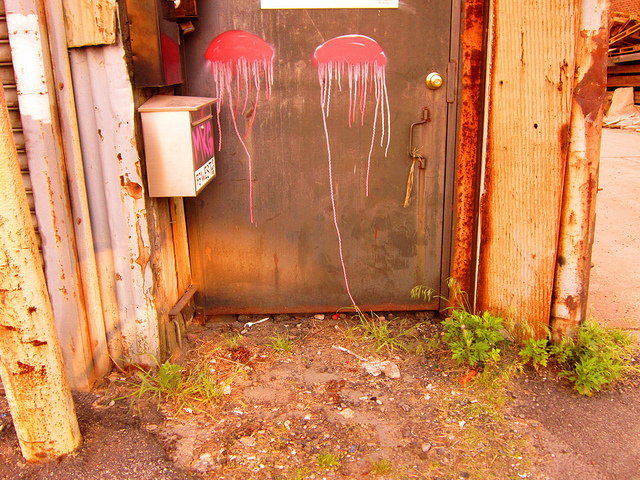 The Jellyfish boil street art and graffiti down to the core essentials of thrill and activation of spaces.